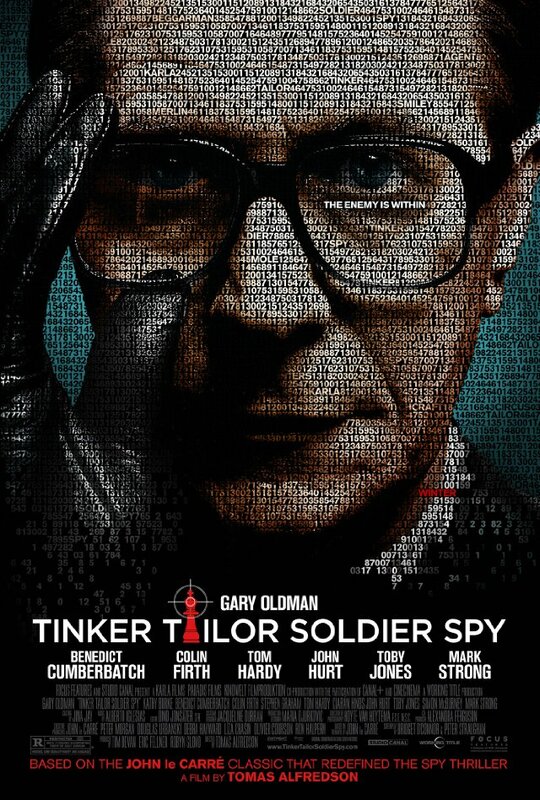 Tinker Tailor Solider Spy — like The Bourne Identity if you were to watch someone thinking about it. Based on the 70’s novel from former MI6 spy, John Le Carre, Tinker Tailor Solider Spy is exactly like The Borne Identity series, if you were to watch someone thinking about it. Presumably, TTSS is much closer to how Cold War espionage worked…sitting around, observing, thinking, watching, contemplating, and perhaps making a phone call. But as an audience member you cannot turn away. You cannot leave to take a piss. You can’t even look down to make sure you are reaching into the bag of popcorn. If you do, you might miss something important. Every piece of information, every word that is said, every frame of film contributes to the mystery, and like forcibly retired MI6 spy George Smiley, the audience must observe with focused attention to stay with the game. From what I have come to understand, people who have read the novel enjoy the film much more than those who have not. This presumably is because the readers already have an insight in the story, so they can read into the visual cues much more quickly and deeply than those who are going in cold. I’m sure that with this knowledge comes a much more relaxed and enjoyable viewing, because the process of taking in the data is not a chore. And like I said, there is a LOT of data to absorb. In fact, the original film adaptation with Alec Guinness in the late 70s had to be a seven episode mini-series to squish everything in. I can’t imagine how they compacted it into a feature length. All in all, if you want to see some fantastic actors acting fantastically, by all means, take the time – its worth it… if you appreciate that kind of thing. Make sure your brain is well rested. If you want to see super spies infiltrating secret hideaways of masterminds with Persian cats, don’t go see this.